The Ivy Crossing is a 1,023-unit apartment portfolio located in the Cherry Creek School District. The properties have direct access to the High Line Canal Trail, which connects to metro Denver’s 850-mile trail system, and is only five minutes from the Yale Station on the Southeast Rail Line. Known previously and separately as Timberline Apartments, Woodhaven Apartments and Westwood Apartments, the three multifamily properties provide critical workforce housing in the region and will be renovated and rebranded as one large community named Ivy Crossing. Berkeley at Regis is a 127-unit apartment community located 15 minutes from the Technology Corridor along US-36 (AKA “Silicon Valley of the Rockies”) and within minutes from the Regis University main campus. The property is Oak Coast Properties' most recent acquisition in 2018. Berkeley at Regis offers its residents many amenities including swimming pool, hot tub, firepit, BBQ area, and picnic area. The property is also close to local restaurants and shops. The St. Moritz Apartments is a 360-unit apartment community located in Lakewood, Colorado, one of the strongest sub-markets across all of Denver with high median income and low vacancy. It offers an attractive unit mix of 50% one-bedroom units and 50% two-bedroom units. All but 18 units at the property have in-unit laundry. Amenities include dog park, pool & spa, gas fire pits, 24-hour fitness center, half-court basketball court, clubhouse, putting green, business center, charcoal BBQ picnic areas and great mountain views. Aspen Park Apartments is a 388-unit apartment community located on the North I-25 corridor that is a 15-minute drive to downtown and major north-market employers. Amenities include ample parking, laundry facilities, two outdoor swimming pools, large clubhouse with multiple common spaces including a kids playroom, multiple courtyards with grills, and adjacent regional park and trail system. The interior amenities include air conditioning, private balconies in all units and large floor plans relative to the property's vintage. As one of only six communities in the Denver metro area with over 700 units, Pembrooke on the Green is a 959 unit apartment community recently acquired by OCP. Located in southeast Denver, the property is just north of the I-225/I-25 junction and within 5 minutes of the Denver Tech Center. Built between 1974 and 1980 in different stages, the property is less than 10 miles from Downtown Denver and neighbors John F Kennedy Golf Course and John F Kennedy Park. Pembrooke on the Green offers residents heated swimming pools, a fitness center, soccer field and playground, dog park, and two clubhouses, amongst many other community amenities. One Dartmouth Place Apartments is an apartment community located roughly 10 miles southeast of downtown Denver and 5 miles northeast of the Denver Tech Center. With easy access to major highway arterials as well as a ten minute walk to RTD Mile Station, One Dartmouth Place is ideal for commuting to the growing job market Denver boasts. One Dartmouth Place offers many amenities including a mix of one, two, and three bedroom suites, two heated pools, game room, fitness center, outdoor sport court, children’s playground and BBQ & picnic areas. Aurora Hills is a 600-unit apartment community located just west of I-225 and 6th Avenue in Aurora, Colorado. Aurora Hills offers its residents many amenities including playgrounds, a heated swimming pool, dog park, sports courts, and a fitness center. 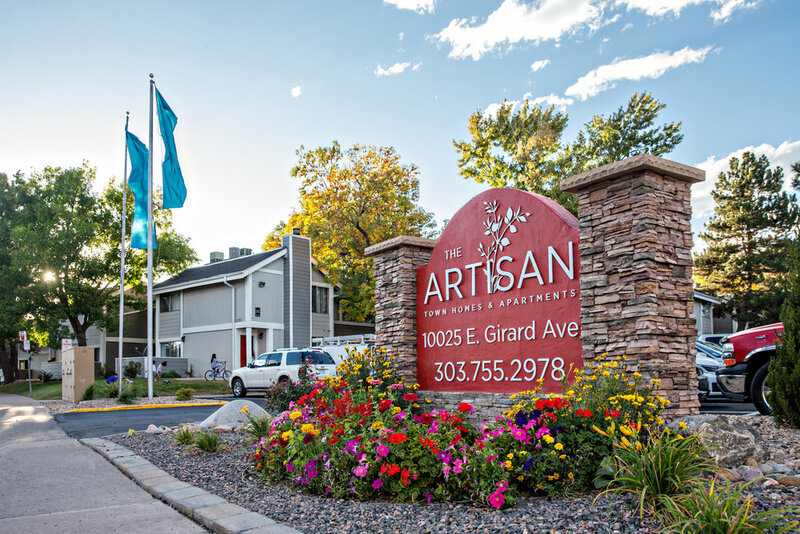 The Artisan Town Homes and Apartments homes is a 434 unit apartment community centrally located along the Hampden Avenue Retail corridor in Denver, Colorado. The property is minutes away from major employment centers including the Denver Tech Center. Spanning over 18 acres, the Artisan offers its residents many amenities including multiple playgrounds, swimming pools, dog park and a renovated clubhouse with business and fitness centers. The property was built in 1973 and is currently undergoing a major exterior capital improvement plan which will further enhance the property. The Promenade at Berkeley is a 492 unit apartment building located in Duluth, a submarket of Gwinnett County just outside of Atlanta, Georgia. The project was built in 1986 and underwent significant renovations from 2006 – 2009 and will receive additional renovations beginning in 2014. The property boasts a private lake with fountains, 2 tennis courts, a state of the art fitness center, walking trails, a dog park, car care and business centers, playgrounds and much more. The property is located near I-85 and 285, making it ideal for daily commuters, and it is just minutes from great restaurants, entertainment and shopping experiences. Its proximity to major employment hubs is unparalleled in that it sits in the middle of the thriving high-tech and bioscience industries of Gwinnett County. The Falls at Clear Lake is a 400 unit apartment community located roughly 20 miles southeast of downtown Houston. The property is closely located to several major employment centers in the Clear Lake area including the Port of Houston and petrochemical facilities, Webster Health Corridor and NASA. The Falls at Clear Lake Apartments offers its residents a park like setting with multiple playgrounds, swimming pools, sport court, clubhouse with business center and many other amenities. The property was built in 1983 and experienced a major exterior capital improvement plan in 2010 and will be further enhanced with a renovation plan focusing on improving already existing amenities as well as all interior units. Sunset View Apartments Homes is a 240 unit apartment community located in the Seattle suburb of Renton, Washington. Ideally located approximately 10 miles southeast of downtown Seattle, this property is strategically situated proximate to SeaTac International Airport, Boeing, and other major employment centers. The property is highly accessible as it sits near the major arterials of I-405, I-5 and SR-167 Freeways. The property contains many unique features including a solid mix of one, two and three bedroom suites, an Olympic sized pool, tennis courts, a basketball court, a 24 hour fitness facility, a full sized media room with lounge, BBQ picnic areas and a children’s playground. The property also possesses a stunning view of Mt. Rainier. The Villas on 76th Apartments is a 384-unit garden style apartment community located north of the Boulder Turnpike and close to Colorado's major cities such as Downtown Denver, Boulder, Interlocken, and Flatirons. Amenities include ample parking, laundry facilities, two outdoor swimming pools, large clubhouse with television area, four courtyards with grills, and a dog park. The interior amenities include air conditioning and private balconies in all units. Located in Thornton, north of Denver, Timber Lodge is a 390-unit apartment community built in 1972. Each unit is fully renovated with wood-plank flooring and gracious walk-in closets. The community offers three swimming pools, a business center, a fitness center, a dog park and a playground, and spacious picnic areas with BBQs. Timber Lodge is conveniently located less than 9 miles north of Downtown Denver with close proximity to Interstate 25, Highway 36 and Denver International Airport. 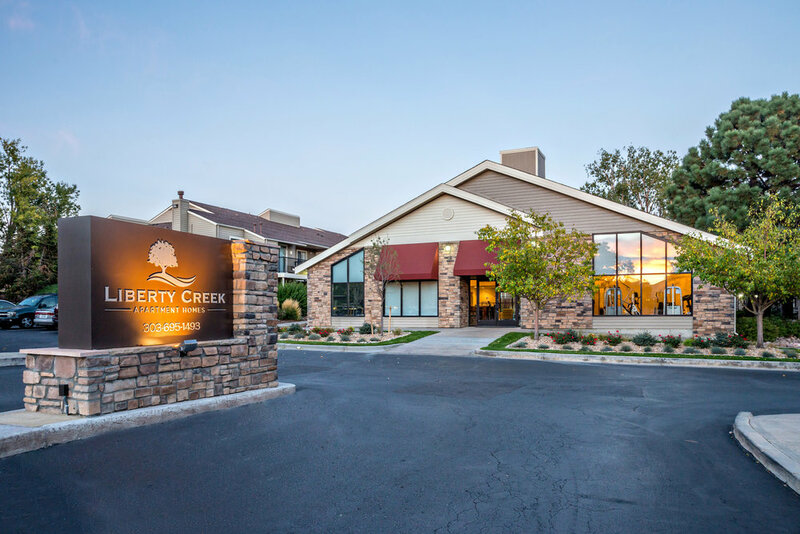 Liberty Creek Apartments is a 584 unit apartment community located roughly 15 miles east of downtown Denver. The property is within walking distance to major retail centers as well as the future I-225 rail line opening in 2016. Liberty Creek Apartments offers its residents multiple playgrounds, swimming pools, basketball courts, a fitness center, clubhouse with business center and many other amenities. The property was built in 1981 and experienced a significant capital improvement plan when the interiors of the units were upgraded roughly 3 years ago. Additional improvements were made to the exterior of the property including improving the amenity set. OCP acquired this asset in an up and coming area of Sonoma County. The booming job market, subsequent rent growth and limited new construction, made the area a perfect opportunity for a strong investment. The property was built in 1981 and underwent a robust exterior improvement plan, which addressed deferred maintenance and improving the existing amenity set for the residents. Legacy Key Apartments is a 350 unit apartment community located in metro Atlanta’s city of Sandy Springs. The property is strategically located just northwest of the GA Highway 400/Northridge Road interchange and within close proximity to the corporate districts of Perimeter Center and North Fulton County. The property was built in 1979 and is currently being renovated to upgrade the already existing common area amenities as well as an interior renovation plan to improve the already spacious floorplans. Legacy Key offers both town home and garden floor plans with large porches, sunrooms and a park like setting with two tennis courts, two pools and a fitness center. This beautiful 88 room Residence Inn is centrally located on North Point Boulevard in Winston Salem, N.C. Located 1.3 miles from Wake Forest University and 4 miles from downtown Winston-Salem, this unique property benefits from strong business traveler patronage and significant student visitation related stays. Proudly bearing the Marriott brand, this asset, fully renovated in 2013 boasts 88 guest rooms, an up to date fitness center, outdoor pool a business center and outdoor open fire pit amongst other offerings. DoubleTree San Diego – Hotel Circle is a 219 key hotel located in the San Diego submarket of Mission Valley. The hotel is centrally located to many of San Diego’s famed attractions, beautiful beaches, San Diego Zoo, SeaWorld, Legoland, the convention center and Old Town and Downtown San Diego. Residence Inn South Bend is an 80 key hotel located off of US-31 and only .5 mile from downtown South Bend and the Notre Dame campus. The hotel features apartment-style suites that are 50% larger than traditional hotel rooms which is a favorite for families or business travelers on extended stays.